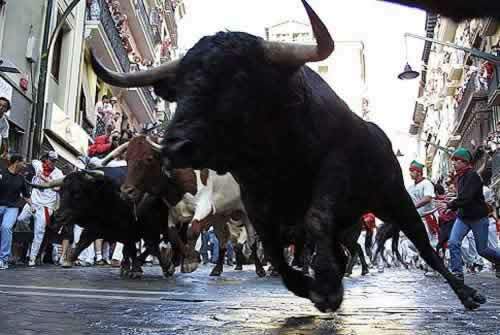 The Running of the Bulls is a practice that involves running in front of bulls that have been let loose on a course of a sectioned-off subset of a town’s streets. 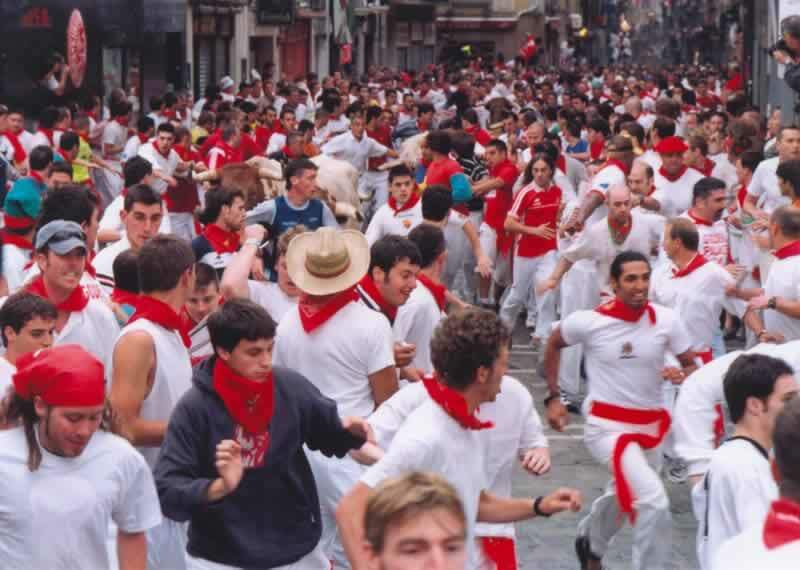 The most famous running of the bulls is that of the nine-day festival of San Fermín in Pamplona, although they are held in towns and villages across Spain and in some cities in Mexico and southern France, during the summer. Unlike bullfights, which are performed by professionals, anyone may participate. 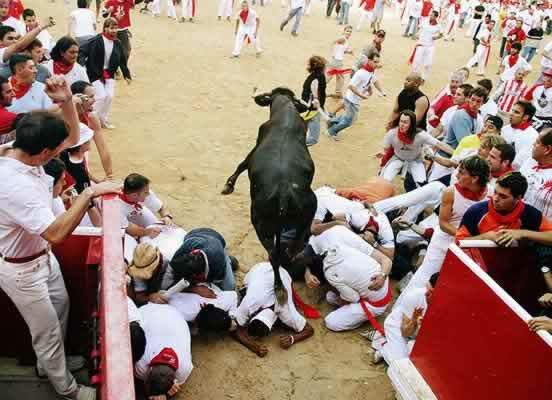 The purpose of this event is the transport of the bulls from the off-site corrals where they had spent the night, to the bullring where they would be killed in the evening. Youngsters would jump among them to show off their bravado. Injuries are common to the participants who may be gored or trampled,and to the bulls, whose hooves grip poorly on the paved or cobbled street surfaces. Before the running of the bulls, a set of wooden or iron barricades is erected to direct the bulls along the route and to block off sidestreets. There may be a double row of barricades along the route to allow runners to quickly exit in case of danger. The gaps in the barricades are wide enough for a person to slip through, but narrow enough to block a bull. A group of large oxen are released at the end of the run to pick up any stragglers then a run is considered good if the bulls flow swiftly. Whenever a bull gets separated from the herd, it can be very dangerous because it becomes disoriented and often attacks anything, or anyone who attracts its attention.